When there are behavior problems in the classroom, learning can be disrupted. To prevent disruption, I have these forms on hand. 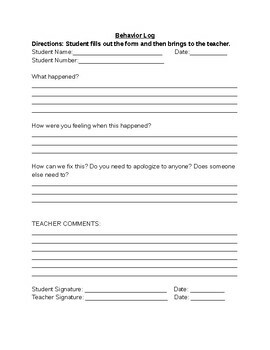 When an issue arises I give a sheet to the student or students involved and have them fill it out while class continues on. They return the sheet when they are finished and we discuss it at a time that is more convenient.